There was a time when the Land of the Rising Sun was the lodestone for the aspiring and rising musician or for those who were long past their prime. With instruments, song sheets and dreams, these hopefuls flooded a Japan seemingly eager to be entertained by these wandering minstrels. The feeling was that in those glory days of yesteryear any musician with the barest inkling of musical talent could make it big in Japan. Perhaps that was the case or perhaps it was only a myth. Nowadays, musicians both domestic and imported have to struggle for recognition and tips like everywhere else. The Sushi Cabaret Club has struggled like many bands in Japan but they have garnered some measure of success over the years having their music featured in Internet and TV ads. They have also played at Fuji Rock, which is no small feat. 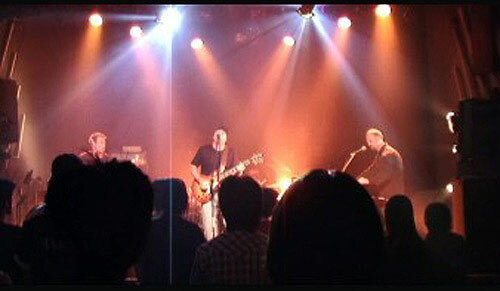 The Sushi Cabaret Club is a mostly foreign rock band based in Nagoya. They have been together since 2003, though its members have been in Japan for longer than that. The music of the Sushi Cabaret Club as described by frontman Dave Wallace and bassist Aaron Beutel is good honest rock-n-roll with honest lyrics and containing some good ballads. It is a mixture of American rock and U.K. rock with a touch of rock from the southern states of America. They are an eclectic blend of a variety of inspirations from Hendrix, AC/DC and Pink Floyd to one of the original musical rebels, Beethoven. 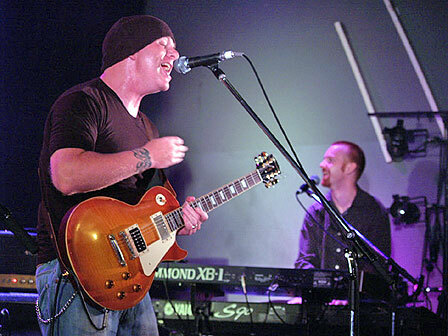 Dave Wallace - lead vocals and guitar. 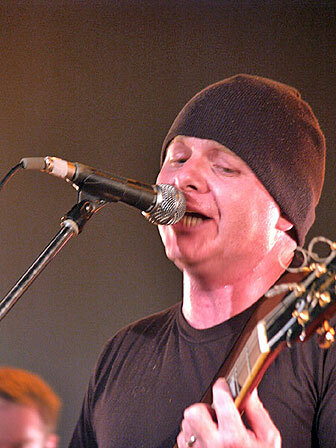 Wallace, from Scotland, is the band's lead vocals and guitar. Before coming to Japan, he was playing guitar in Greece when he reached the end of his funds. When offered the chance to play guitar in Japan and make some money while he was at it, he jumped for it. He has been in Japan close to 10 years now. 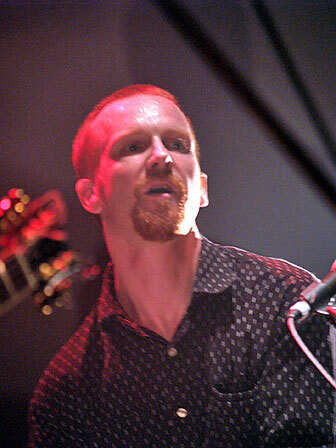 Dave Freeman hails from Britain and is the band's keyboardist. He has been playing keyboard since he was 11 and has been in Japan for over 10 years. He is as he describes himself married to music in sickness and in health till death do they part. Aaron Beutel - bass player. 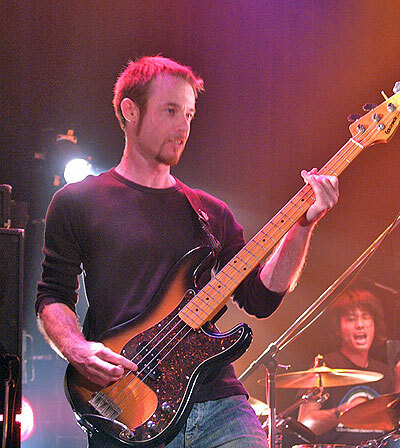 Beutel was a bass player in Australia but he wanted to stretch his wings a bit and so off to Japan he went. Like many foreigners in Japan, he took the teaching route until he felt the call of music again. He hooked up the two Daves and became the band's bass player. Nobu Yamada is the newest member of the band. The original drummer was an American, Mike Bagley, but like the story of most bands, band membership is rarely a permanent thing, and he and the Sushi Cabaret Club went in separate directions. Enter Nobu. 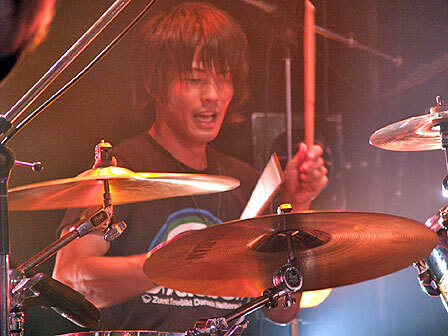 Nobu has been playing drums since childhood. Though newly come to the group, Nobu picked up the band's songs in about two weeks. The novelty of being a foreign band in Japan had long worn off by the time the Sushi Cabaret Club formed so they have had to rely on talent and good music, which they have plenty of, in order to build-up a fan base. Still it has not been easy as music organizers do not always know how to measure up a foreign band. Audiences, however, have not been a problem and the Sushi Cabaret Club has generally received good responses wherever they have played. The band has put out four CDs and a recent one is just coming out. Visit The Sushi Cabaret Club on MySpace.